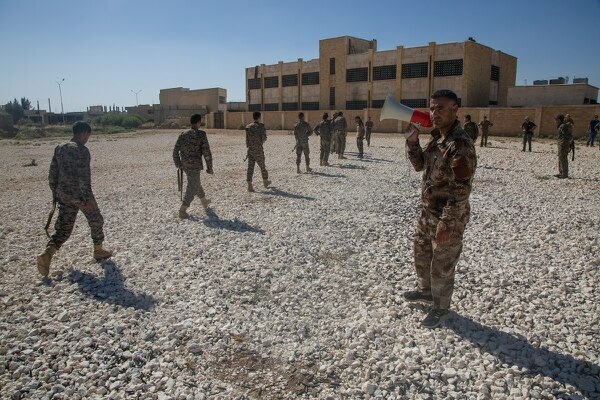 ROME – As the fight against ISIS in Syria continues, the U.S. backed Syrian Defense Force is finding itself confronting what to do with an increasing number of captured foreign fighters. The issue is magnified by the reluctance from many countries to accept back captured nationals who left to fight besides ISIS, leaving those captured in a legal limbo – and increasingly crowded facilities. It’s an issue U.S. Secretary of Defense Jim Mattis will address during a meeting of the counter-ISIS coalition in Rome on Tuesday, but one without a clear solution at hand. That is part of Mattis’ message this week – that the other defense ministers from the counter-ISIS mission are communicating to their legal counterparts that solutions need to be found to the issue. 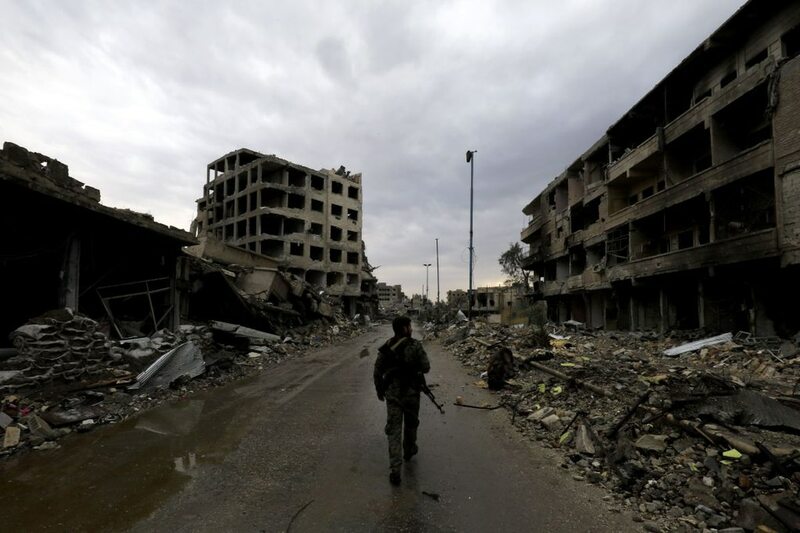 The question of what happens to foreign fighters captured in Syria has gained extra scrutiny in recent days following the capture of two U.K. nationals, part of a foursome known as “the Beatles of ISIS.” British officials have raised concerns about bringing them back for trial. A U.S. official said that the possibility of moving the two to Guantanamo Bay is not being considered. While the home countries of these fighter work to find a solution, the jailing facilities are becoming packed with prisoners, including thousands of captured ISIS fighters who are Syrian nationals. “There are certain days we’re seeing 40-50 a day being captured. So the capacity problem is real. I haven’t heard from the SDF [about] a timeframe problem. I think they are willing to hold them as long [as needed] but its more the volume, especially if they continue to capture them at the rates that they are,” Wheelbargers said. “These aren’t necessarily the best detention facilities, in the sense they are being held in Syria and it’s not the most secure area,” she added. Also complicating the fight is the “distraction,” as Mattis put it, of Turkey’s operation against the Kurdish area of Afrin. The SDF is roughly 50 percent Kurdish, and some fighters have left the ISIS battle to go back and fight against Turkey. While the number of SDF leaving for Afrin have been fairly small, Mattis acknowledged that it is slowing down the war against ISIS. That is expected to come up as a topic during the counter-ISIS meeting as well, with Turkey in attendance for at least part of the meeting.